Running to Crown Street Station, 1829. 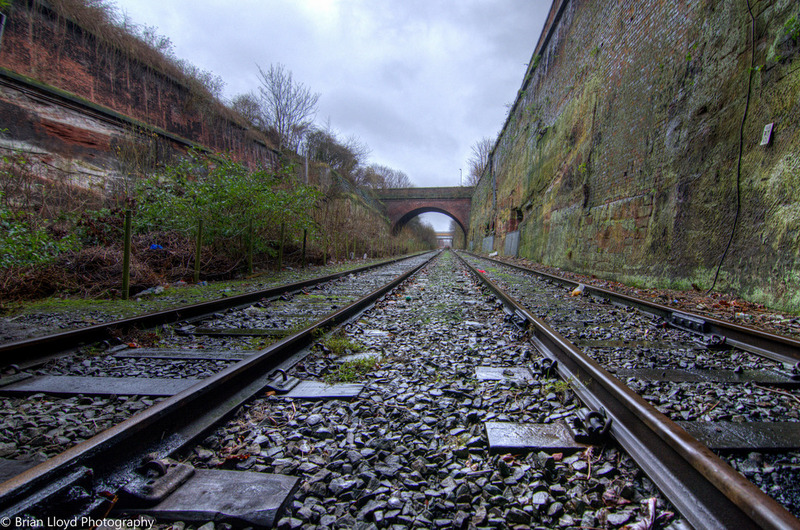 Built by George Stephenson, a single track tunnel 291 yards long was bored from the deep cutting at the Edge Hill junction to Crown Street, to serve the world's first passenger railway station. 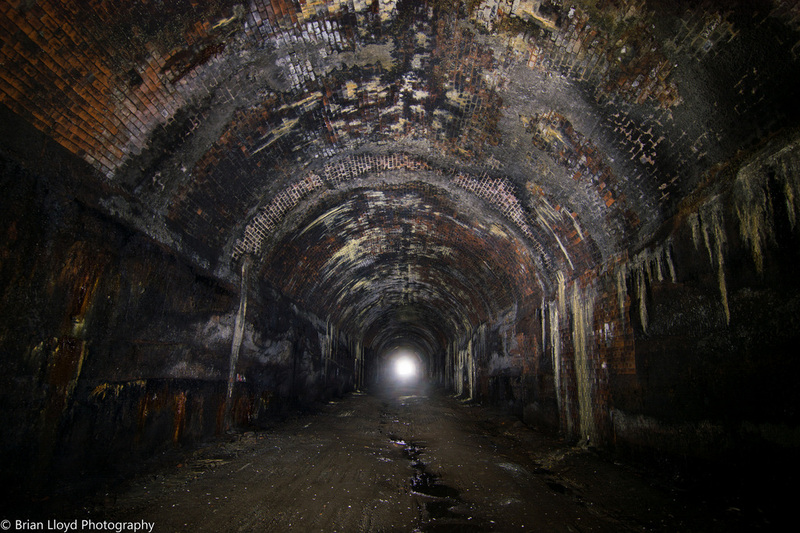 However the tunnel is: The dilapidated state of the Cutting today. The left 1846 tunnel is used for parking trains. The others tunnels are disused. The dilapidated state of the Cutting from the air. Looking from the east The 1846 Tunnel at the bottom - looking from the west. 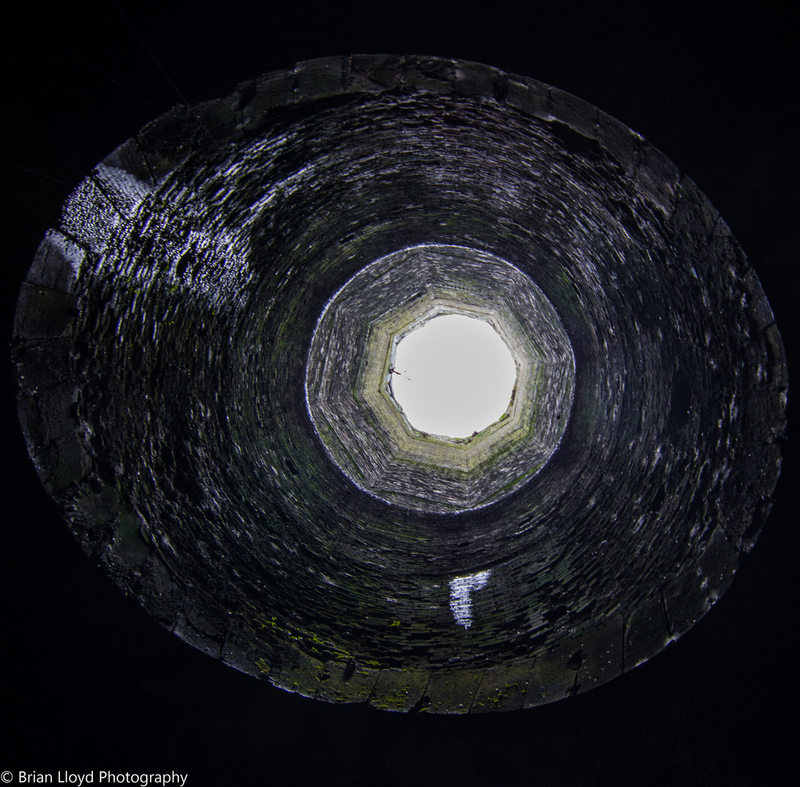 The cutting is at the top. 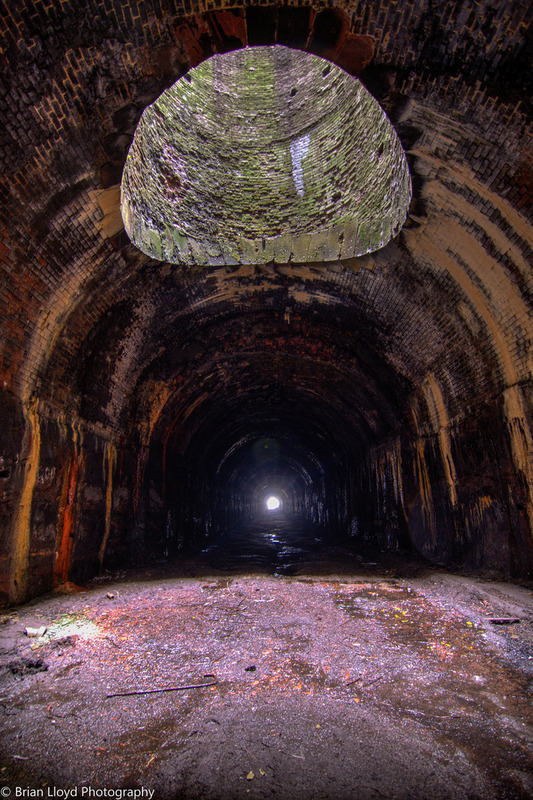 The second oldest rail tunnel in the world after the very short 1804 tunnel at Pentrebach, Merthyr Tydfil. 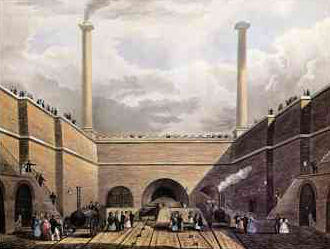 Being too far from Liverpool city centre, the passenger station was abandoned in 1836 in favour of Lime Street. The area was converted for freight use. 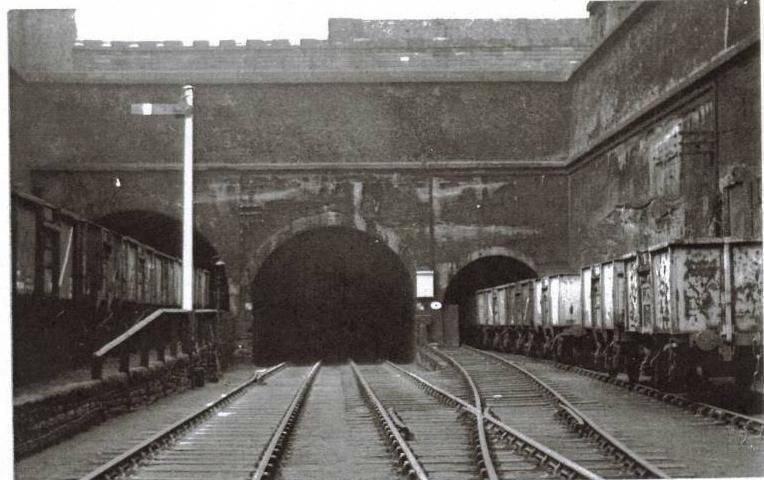 An additional two track tunnel was bored through to Crown Street from the Edge Hill cutting in 1846, to increase traffic to the freight yard. 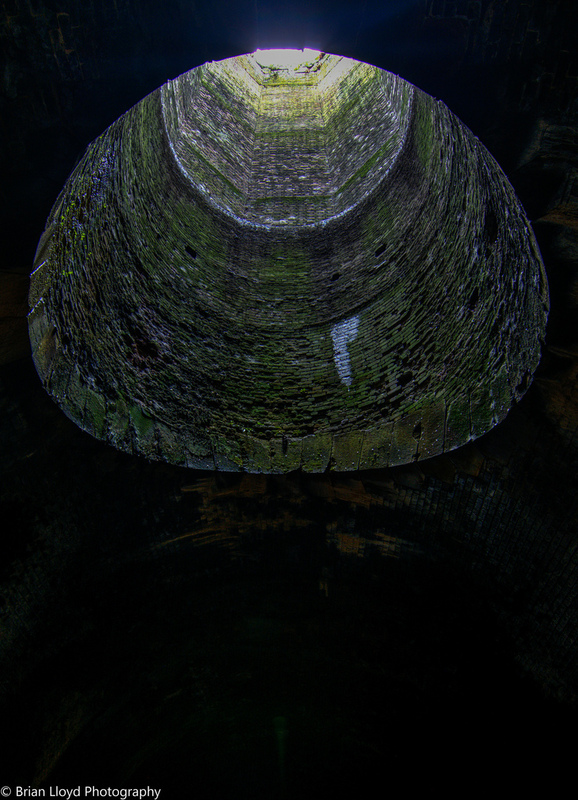 The head of this tunnel was initially cut to about 3 metres deep in 1829 and used as a store room. 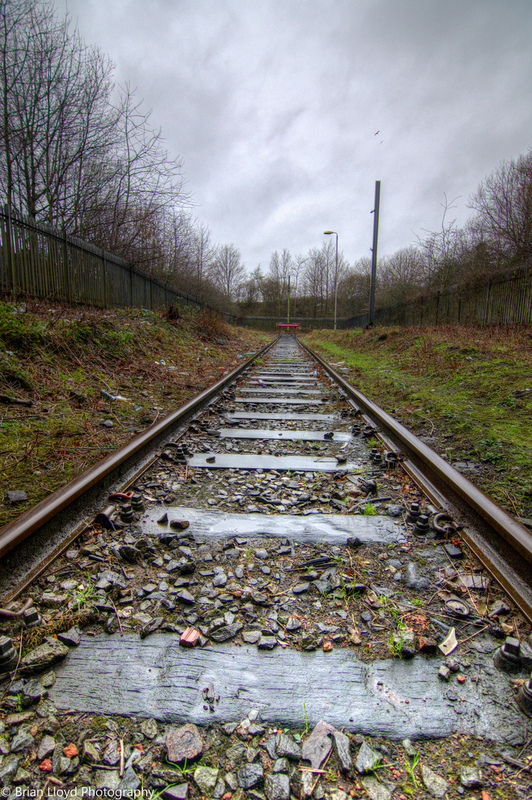 The freight yard was closed in 1972 along with the original 1829 Stephenson tunnel. 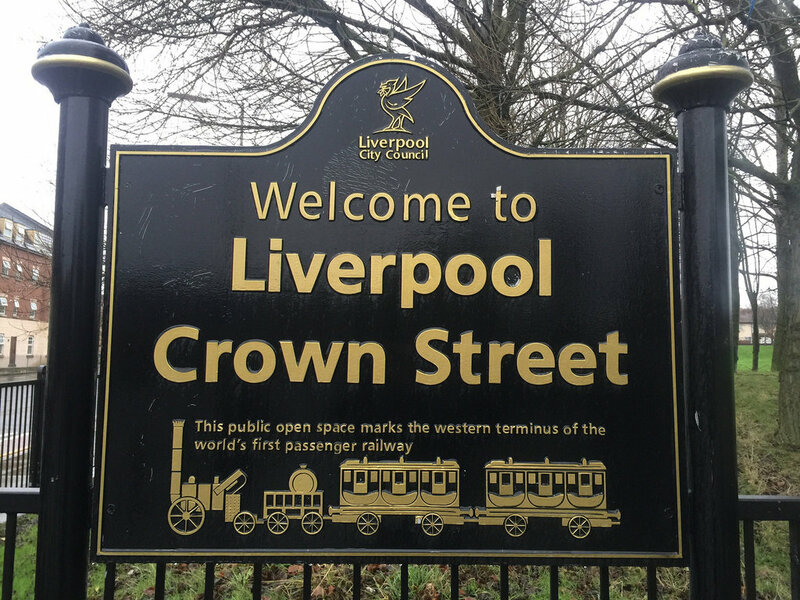 The Crown Street portal is landscaped over showing no trace of the tunnel at Crown Street apart from an incline of grass near the tall brick Wapping tunnel ventilation shaft, which was initially in the passenger station and then freight yard. The historic 1929 Crown Street Tunnel is partially collapsing at the Crown Street end, due to lack of maintenance, as the subsidence in the street surface above indicates. Some lovely colours in there and well photographed! but the threads very confusing info on Crown Street but Shots of Wapping? 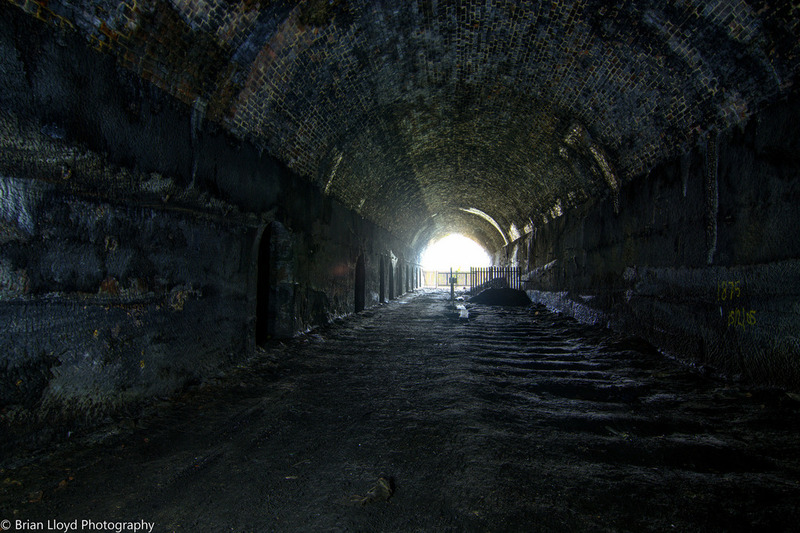 you will of walked thro the 1846 crown Street tunnel but no shots of it? Sorry guys, maybe I was misinformed, I was under the impression that the Wapping tunnels were a combination of Crown Street tunnel and a few others. There were two tunnels were we went but only ventured into one of them..
Wapping is the middle & lllloooonnnngggg, original crown street is the right & short. 1846 crown street is the left, live & used as a head shunt.